Designed for ferrets, rats and chinchillas. This all metal cage has three floors with separate inwards opening doors for levels 1 and 2 and access through the hinged roof for level 3. 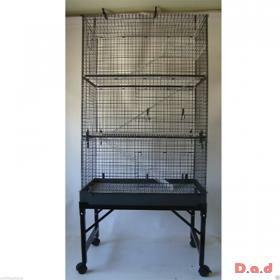 This metal 3 tier ferret cage has no plastic parts, so chewing will not be a problem. The floors are all mesh 1cm x 1cm, small enough to prevent the risk of legs becoming stuck but big enough to allow droppings to fall through to the metal base. 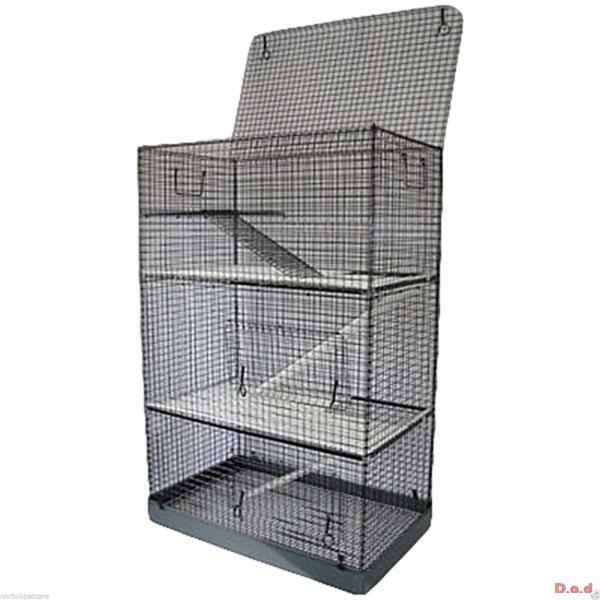 The mesh size on the cage is 2cm x 2cm. 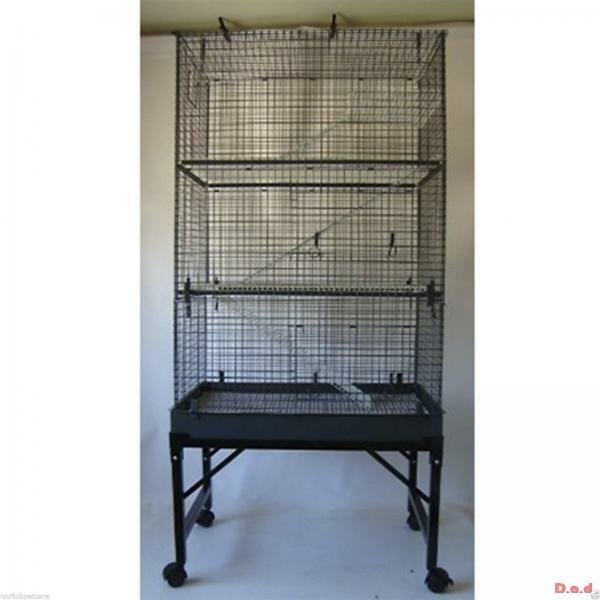 The floor lifts out for easy cleaning, and when removed the cage can be used for smaller animals. 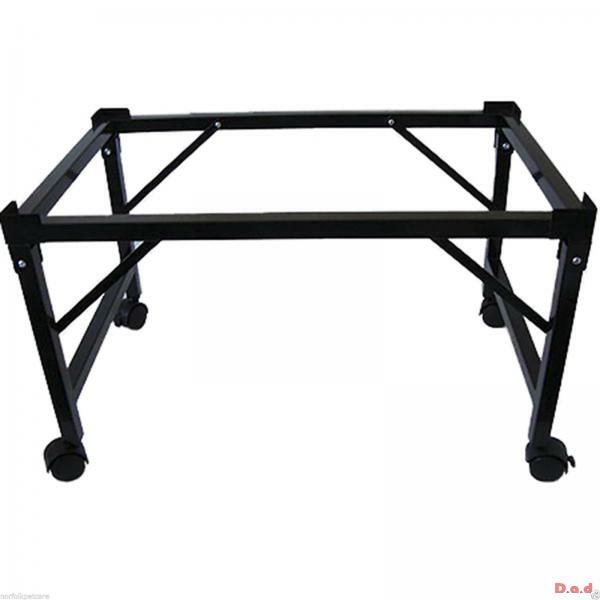 The stand is 35cm high (16"). Only used for two weeks.